While the results of the 2016 presidential election ushered in the apocalypse, the 2018 midterms saw increased political awareness throughout the country, as hyper-vigilant voters committed to bringing order to chaos and record numbers at the polls. “Record numbers” is a gross understatement, considering an estimated 113 million people rocked the vote—the highest total for a non-presidential election in U.S. history and the highest voter participation rate in a midterm election in over 50 years, according to the Associated Press. But in Tennessee specifically, tens of thousands of new black and brown voters made their voice heard. Which, of course, meant it was only a matter of time until the powers that be made it their mission to kill the noise. On Monday, the Tennessean reports that the Republican-led House approved a brand spanking new bill that imposes fines and criminal penalties for voter registration efforts that the state deems questionable. The measure, backed by Secretary of State Tre Hargett, would require groups leading voter registration efforts to undergo training and potentially face fines for submitting too many incomplete forms. Critics of the proposal have questioned its intentions, noting it comes after an effort to register more African American voters and people of color during the 2018 midterm elections. After two protesters were removed while the chamber considered the bill, the House approved it along party lines, with a 71-26 vote. State Rep. Tim Rudd, a Republican who represents Murfreesboro, amended the legislation on the floor, limiting the ability for penalties to be assessed against groups registering voters. 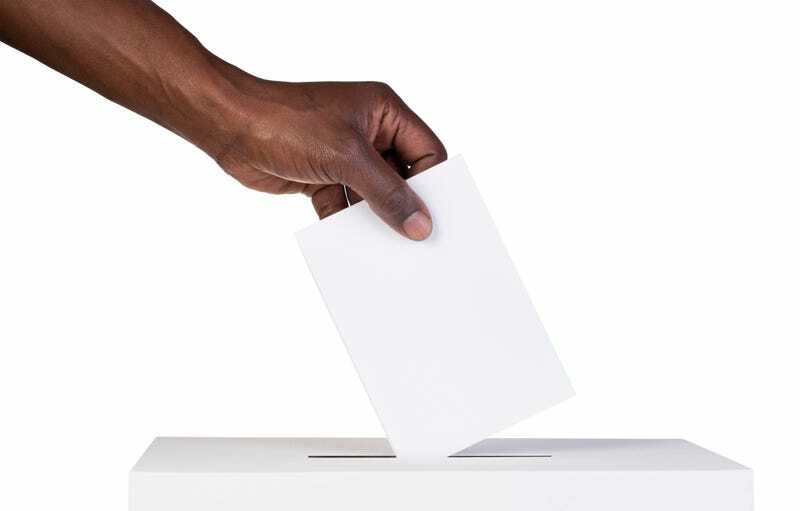 The penalty provision has been met with significant opposition from voter registration groups such as the League of Women Voters, Equity Alliance and Tennessee Black Voter Project, which alone registered over 90,000 black voters last year prior to the midterms. “(This bill) discourages people from volunteering in the Volunteer State,” said Tequila Johnson, co-founder of Equity Alliance. She also affirmed that it represented blatant voter suppression and racism. As CNN reports, this bill openly dissuades voting registration efforts at community centers, schools, churches or elsewhere. Under one of the provisions, individuals or organizations that submit 100 to 500 “deficient” voter registration applications, meaning forms that are incomplete or contain incorrect information, could be hit with a $150 to $2,000 fine. Submitting more than 500 “deficient” forms could result in a fine of up to $10,000. Forms would have to be delivered or mailed within 10 days of being collected, or by the state’s voter registration deadline. Tennessee cuts off voter registration at 30 days before election day. The bill would also make it more difficult to hold a voter registration drive in the first place. According to Oliver, local election commissions are supposed to verify voter registration, not the groups helping people register to vote. She also notes that civic groups often organize voter-registration drives in rural areas and in communities where transportation is scarce. But again, while volunteers are there to help future voters understand the registration process, verification falls outside of their purview. But it’s Sekou Franklin, a political science professor at Middle Tennessee State University, who called out the bill for what it is. And in Tennessee, it would appear those “other motives” begin and end with the color of a potential voter’s skin.